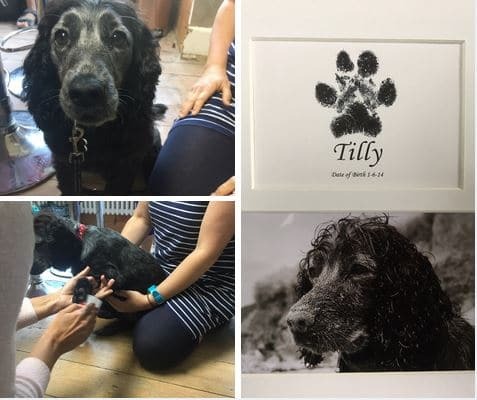 Looking to capture a very precious moment in time of your precious pet? 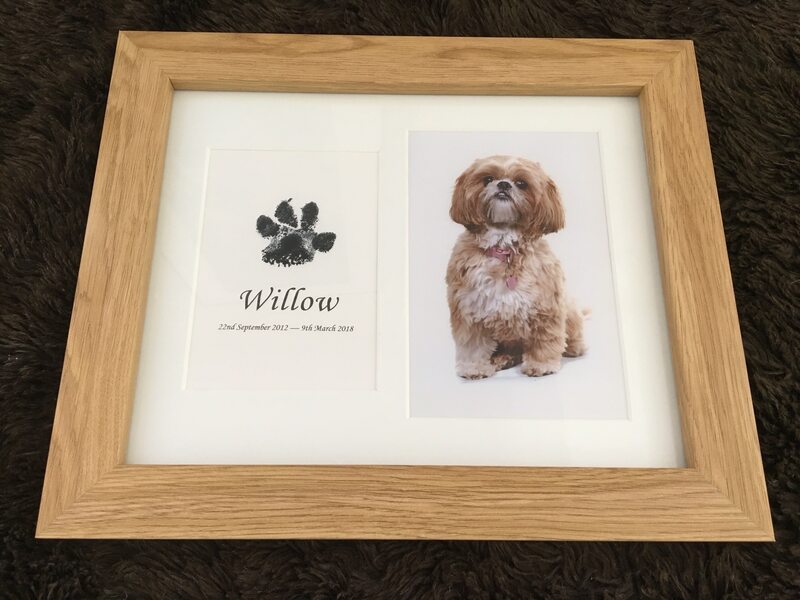 Our pet paw print frames are a great reminder over the years to come of your beloved pet dog or cat. 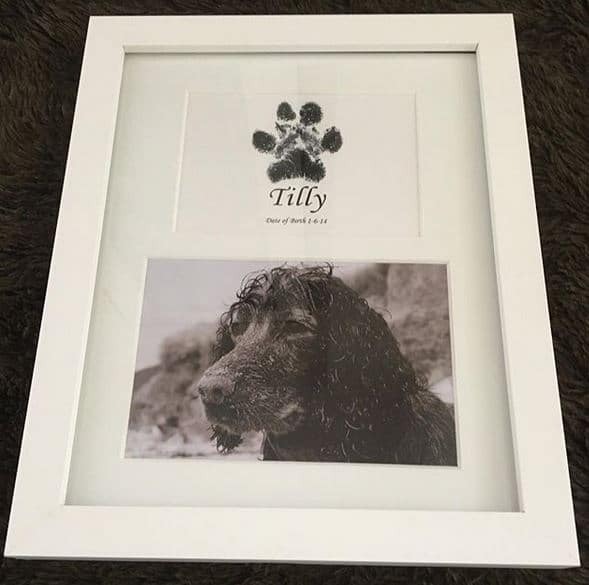 How are the pet paw print frames created? The process is very simple, quick and mess-free. You can either pop along to the studio with your pet or have a go yourself. The print does not have to be perfect – they can be tidied up before being presented in a frame of your choice along with a photograph. 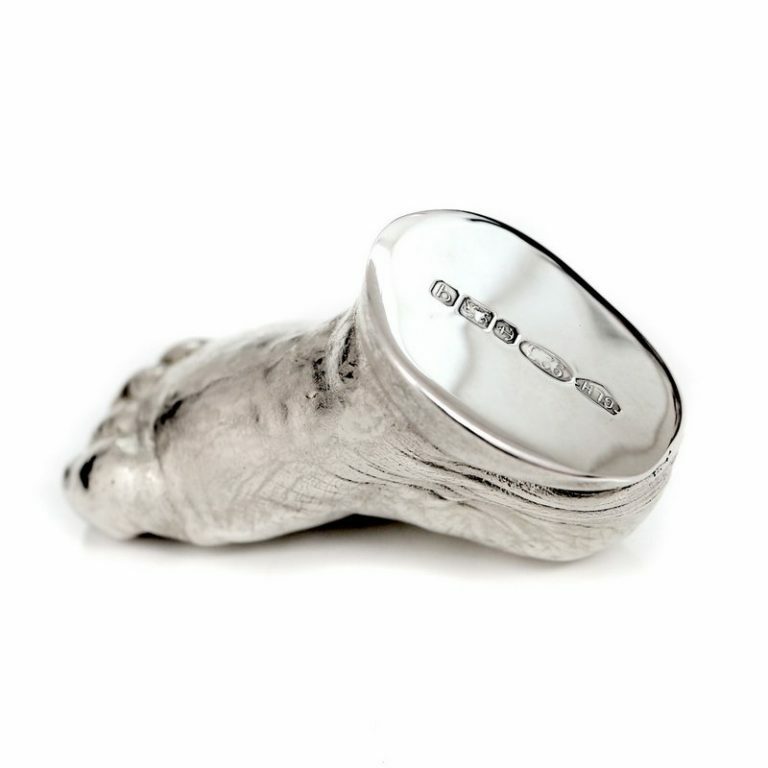 Once you have created a paw print you could use it to also have a piece of jewellery created. 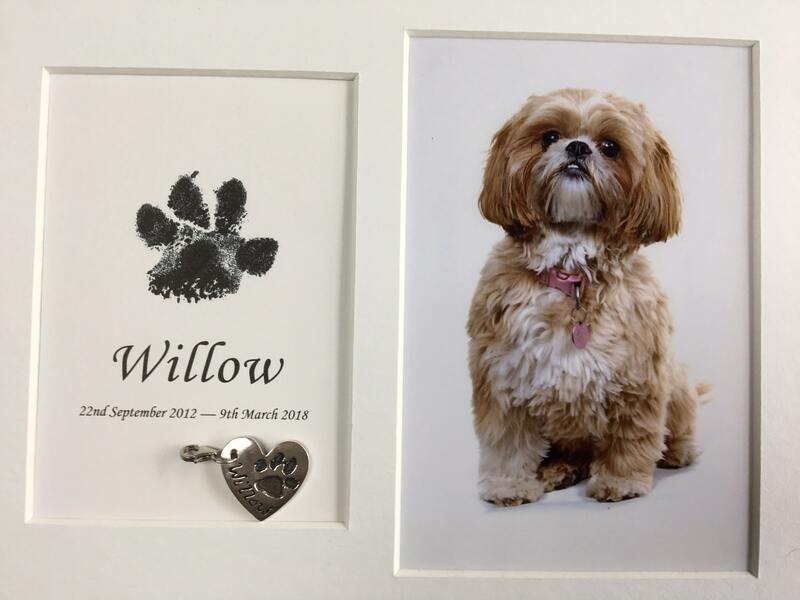 This was exactly what my client wanted to do with her paw print of Willow who had sadly passed away unexpectedly. As you can see the pawprint was placed in a wood frame along with a beautiful photograph. The same print was then used to create a silver heart paw print charm. To view more samples of the pet print jewellery click here. How do I order a framed pet print? If you are able to travel to the studio in Poole with your pet then contact Glenda to make an appointment. You can place an order for one of the inkless wipe kits. It comes with very detailed instructions.